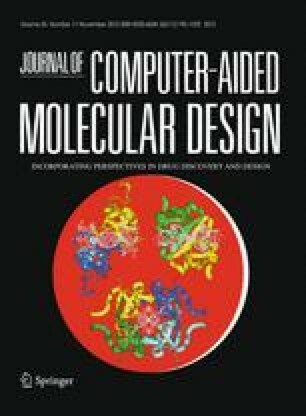 The Cambridge Structural Database (CSD) offers an excellent data source to study small molecule conformations and molecular interactions. We have analyzed 130 small molecules from the CSD containing an intramolecular sulfur–oxygen distance less than the sum of their van der Waals (vdW) radii. Close S···O distances are observed in several important medicinal chemistry motifs (e.g. a carbonyl oxygen connected by a carbon or nitrogen linker to a sulfur) and are not treated well with existing parameters in the MMFFs or OPLS_2005 force fields, resulting in suboptimal geometries and energetics. In this work, we develop modified parameters for the OPLS_2005 force field to better treat this specific interaction in order to generate conformations close to those found in the CSD structures. We use a combination of refitting a force field torsional parameter, adding a specific atom pair vdW term, and attenuating the electrostatic interactions to obtain an improvement in the accuracy of geometry minimizations and conformational searches for these molecules. Specifically, in a conformational search 58 % of the cases produced a conformation less than 0.25 Å from the CSD crystal conformation with the modified OPLS force field parameters developed in this work. In contrast, 25 and 37 % produced a conformation less than 0.25 Å with the MMFFs and OPLS_2005 force fields, respectively. As an application of the new parameters, we generated conformations for the tyrosine kinase inhibitor axitinib (trade name Inlyta) that could be correctly repacked into three observed polymorphic structures, which was not possible with conformations generated using MMFFs or OPLS_2005. The improved parameters can be mapped directly onto physical characteristics of the systems that are treated inadequately with the molecular mechanics force fields used in this study and potentially other force fields as well. An erratum to this article can be found at http://dx.doi.org/10.1007/s10822-013-9633-y. We thank Wolfgang Damm and John Shelley for implementing the NBFIX functionality within the Schrodinger Suite. We also thank Ed Harder for helpful discussions regarding force fields and for comments on the manuscript.